1Sağlık Bilimleri Ünv. 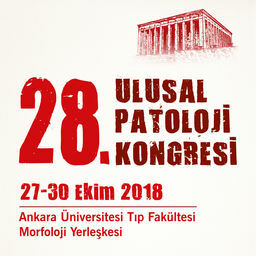 Ümraniye Eğitim Ve Araştırma Hastanesi, Patoloji Lab. Russell body gastritis (RBG) was first defined in 1998. Russell bodies are eosinophilic intracytoplasmic globules which are likely the result of disturbed secretion of immunoglobulins that accumulate within the plasma cell. RBG has a non-specific clinical presentation of gastritis such as gastric mucosal edema in the macroscopic view. It has been highly suggested to have correlation with Helicobacterpylori infection. A 73-year-old female esophagogastroduodenoscopy was performed. Stomach biopsies showed chronic gastritis with infiltration of lymphoplasmocytes and numerous mononuclear cells con-taining spherical eosinophilic globules in the lamina propria and spiral-shaped bacteria consistent with H. pylori were observed on the gastric epithelial surface. CD138 immunostain was positive in plasma cells containing Russell bodies. Immunoglobulin on immunohistochemial staining was positive both on kappa and lambda light chains, suggesting polyclonal nature, which led to the diagnosis of RBG. In conclusion, RBG is a very rare disease, characterized by polyclonal immunoglobulin deposition from immunohistochemical staining. Russell body-related chronic gastritis is a notably rare benign disease entity. It can be mistaken as xanthoma, signet ring cell carcinoma, or a malignant lymphoma including mucosa-associated lymphoid tissue lymphoma and plasmocytoma.